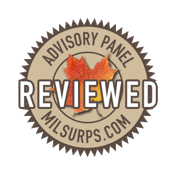 What is the Advisory Panel Review & Validation Service? Thread: What is the Advisory Panel Review & Validation Service? We’ve all seen posts where one or more of our members, have requested that other members have a look at an item and help them to authenticate it, as they may be considering buying it, or simply have suspicions that the piece is a “put together”, “bitster”, or even an outright fraud. We also regularly see cases where members are posting pics of an item they currently own and they may be asking for an evaluation and assurances that it’s a righteous piece, which they feel may be helpful to them in any future sale of it, or at least give them a "peace of mind" provenance while they own it. It’s becoming increasingly difficult to separate the fakes from authenticate pieces, particularly in some genres of milsurp collectibles. We think we have a partial answer for our members, enlisting the aid of our Advisory Panel of experts, combined with a site formal certification process. We recognize that it’s difficult to give an expert opinion as to the authenticity of an item, particularly without physically handling the piece in person. The next best thing is examining LOTS of high resolution digital pictures, which with the advances of computer technology and the simplifying of graphics programs and photo storage sites that collectors can use to show these type of pics, we think the time has come where this virtual digital compromise is workable. So, we’re adding a new validation type of service for members of the site to take advantage of. 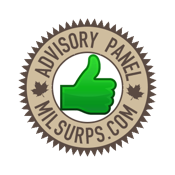 Essentially it will be a Milsurps.Com Advisory Panel review process, where members (or possibly outsiders), may submit an item for an authentication review and expression of an opinion, by our group of in-house expert Advisory Panel members. How much will this certification process cost me? Nothing, it is absolutely free for any member (collector, dealer or auction house) who feels it would help them with their authentication process. The only caveat we would add is that Registered members who are using the site for free, please limit their authentication requests to one item per month. This limitation does not apply to Contributing Members. For more information on How do I become a "Contributing Member" (click here)? By helping everyone for free, it ultimately benefits the entire collector community and perhaps in some small way, provides an additional mechanism to assist young, or less experienced collectors, from becoming innocent victims of the ever increasing amount of fakes and scam artists out there. It astounds me that we often see the exact same "faked" piece being passed around from seller to seller, being purchased time and again by fresh buyers, who have no idea that the same piece has been around for years. To help further explain what’s needed and how it will work, I’ve created two sample completed assessments using pieces currently being displayed in our on-line Knowledge Library . Note that they’ve already been reviewed and assessed years ago by members of the Advisory Panel, but I wanted all of you to see how the end result of the process will appear. I’ve provided one sample that’s authentic and one sample that has issues, which you'll see the differences when you view the above reference links to each of the sample items. 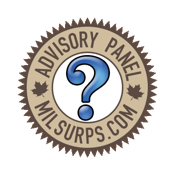 You may have discovered it already, but if you hover your mouse over top of any of the Milsurps Advisory certification stamps (seals), you’ll see a pop-up text balloon with a description of what it means. Because these two sample items have already been reviewed and judged years ago, you’ll see the results along with their appropriate certification seals appearing in the respective Knowledge Library articles. How do I submit an item for assessment and review by the Advisory Panel? Note: We tend to get members submitting requests for evaluations on what are obviously old hunting rifles that have been bubba'd, or pretty vanilla run of the mill milsurps that are nice to own, but not worth a lot of money in collector's terms. So, we reserve the right to advise a member of that when he makes his request, indicating that it might be better and quicker, if they simply created a public thread request in the appropriate forum and seek validation of their item there. What can I do with the Advisory Panel assessment and certification seal given to my item? Any item submitted will go through an internal Advisory Panel review process within their own private forum. Usually this process will take about 14 days, so the members of the panel have time for polling and private interactive feedback amongst themselves. This will involve a thorough review of the information and pics provided, plus they may need to perform their own external individual research on any item. Finally, they may also need or choose to consult their own personal external resources such as library material, authors of books about the item etc. Once their process is complete and a majority of the Advisory Panel have agreed upon a conclusion, the submitter of the item will be provided with a site certification seal, as shown at the top of this post. We also have "watermarked" versions in several different pixel sizes available, for anyone wanting to superimpose an awarded "seal" on their photos. Here's just one example as to how the beneficiary of the site certification process could use the results as a "watermark”. Some of you may now be thinking, What's the point of this exercise and certification process? There's no earth shattering point at all, with the exception of providing our collector community free access to an established formal process with a clearly definable end goal, by using a set of expert collector resources, all of whom have become recognized as having an extensive and broad milsurp knowledge base of experience, regarding various collectible areas and genres. Secondarily, it provides a detailed historical library of all items that have been through the site Advisory Panel process. The secret to ensure success and confidence by members in this program, which might possibly take on a life outside of our site, is to ensure a consistent and disciplined approach to evaluating every item submitted, as well a strict maintenance of historical records of the original analysis of any items that have been assessed. For example, referring to the sample items in the links above. Let's look at two sides of the coin regarding them. First, if you were the owner of the 1915 M10 Ross MkIII* Sniper Rifle that has been certified as original and authentic, with all correct period components, doesn't that help establish value at time of a sale or auction? If you were the potential buyer or bidder on it and you were aware it had been through a rigorous analysis by authors and experts who know the genre, wouldn't you feel more confident in the value you were prepared to spend to obtain it? Conversely, what if you were thinking about buying the 1933 Enfield No.4 Mk1(T) Sniper 'Trials Rifle' directly, or at auction. So, you check the MKL article on it along with the opinion of our Advisory Panel who may be experts in the field of Enfield snipers, only to discover that it has some issues and is not completely authentic. Therefore, wouldn't you find that helpful in establishing what value you were willing to offer for a sale, or bid at auction? It needs to be clearly noted, that this Advisory Panel assessment and certification process, only establishes the majority opinion of its members, who may possess more expert experience and knowledge in a specific genre of collectible, than the "average" collector. The operative word is opinion! 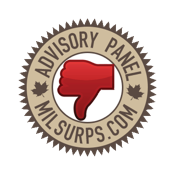 The owners of Milsurps.Com, it's moderator staff, or any members of its Advisory Panel, shall not in any event be liable for any direct, indirect, punitive, special, incidental, or consequential damages, including, without limitation, lost revenues, or lost profits, arising out of or in any way connected with the use or misuse of the information or lack of information on the Milsurps.Com web site or with the delay or inability to use this web site, or from any information, documents, services, software, or other material obtained through this web site, or otherwise arising out of the use of this web site, whether based on contract, tort, strict liability or otherwise. We shall not be liable for any loss or injury caused in whole, or in part, by the actions, omissions, or contingencies beyond our control, including in procuring, compiling, or delivering the information, or arising out of any errors, omissions, or inaccuracies in the information regardless of how caused, or arising out of any Internet user's decision, or action taken or not taken in reliance upon information furnished. Is this process perfect? Of course it's not, but it does provide a starting point and basic framework for the Advisory Panel to perform an assessment of an item. It is not infallible and does not guarantee 100% certainty either way, but it is a far better process than "hit and miss" forum postings that get lost through stale dating of threads, as well as threads where many serious and expert collectors never even get to read them. Finally, on behalf of myself, my wife and our site Founding Partners, Stevo and Claven2, I wanted to personally thank all of the members of our Advisory Panel for their continued support and the unselfish volunteering of their time in graciously answering questions and helping out other collectors, young and old alike. Last edited by dartho; 01-06-2017 at 08:34 PM.